This webring is a collection of websites devoted entirely or in part to Simon leBon. It gives the fans a quick and easy index of websites that have a large quantity of Simon leBon material and information. 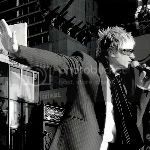 It also: forms an index of Simon leBon sites on the web; increases the of number of hits on your web page; gives fans faster Simon web surfing; gets Simon's name out there on the web; helps promote Duran Duran; and last but not least allows fans to interact with each other. The Duran fans web ring contains sites with DURAN DURAN, ARCADIA, THE POWER STATION, and other duran related sites. The Electric Rio, the Duran Duran Ballroom Web-ring, will host any and all DD-related sites! If you own a DD site, please feel free to join us! All non-related link submissions will be automatically deleted and denied! Are you "hungry like the wolf" for all things Duran Duran? Then check out our members' sites as they share their love for this signature 80's pop and rock band. A new webring designed for sites that are Duran Duran friendly. Individual member sites welcome! This ring is for sites that are about Roger Taylor. Also allowed are sites on Duran Duran, Arcadia, and the sorts. All I ask is that the webring is placed on your Roger page of your site.